The world is a dangerous place. You could die in a car crash. Or a natural disaster. Or even as a result of an accidental fall in your own home. But the one way you almost certainly won’t die is in a plane crash. For the seventh year in a row, 2016 saw absolutely zero deaths in airplane crashes on United States commercial passenger carriers anywhere in the world. This sounds like an extremely impressive statistic, and it is. Air travel is by far the safest form of transportation ever created. You are far more likely to die in literally hundreds of other scenarios than in an airline accident. Yes, there are a few caveats. First, while there have been zero deaths worldwide on US flag passenger airlines since 2009, this doesn’t include foreign carriers. The biggest air mystery of the last decade — the disappearance of Malaysia Airlines 370 in 2014 — resulted in the loss of over two hundred lives alone which have not yet been accounted for. Other deadly crashes on foreign airlines over the last 7 years have even taken place on American soil, such as the crash of Asiana Airlines 214 in San Francisco in 2013 which resulted in three deaths. But none of those deaths occurred on United States carriers, and some credit for that record has to go to the National Transportation Safety Board (NTSB), considered one of the top investigative agencies in the world. When other countries look to your agency for guidance after an airline crash on their own soil, you must be doing something right. Second, this statistic only covers scheduled commercial flights — unfortunately the statistics are nowhere near as good for private planes or charter flights. General aviation accident rates have been mostly unchanged for the past 10 years, and the fatality rate for personal flights has risen 25% in that time. 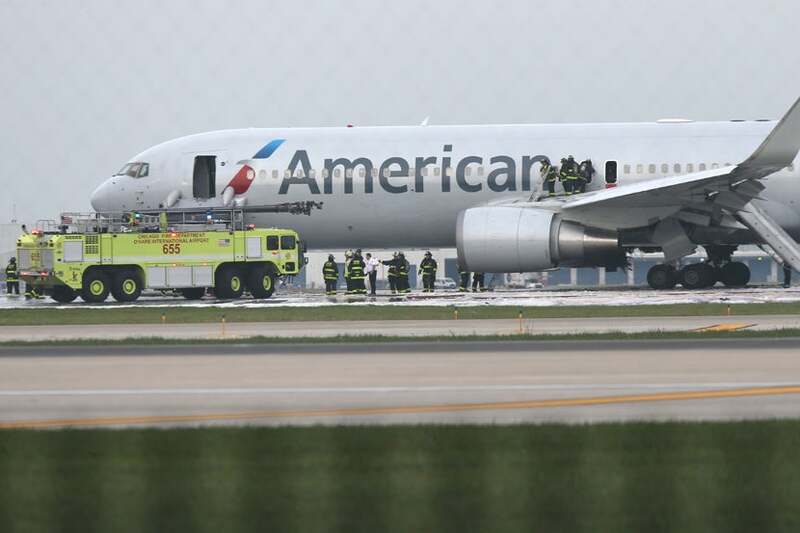 American Airlines 383 suffered an accident in Chicago O’Hare this past October, but there were no fatalities. Courtesy of the Chicago Tribune via Getty Images. And third, while the death rate was zero over the past seven years, there have in fact been passenger injuries on US airlines during that timeframe. As recently as October 28, 2016, an American Airlines 767-300ER had to abort takeoff in Chicago O’Hare due to an uncontained failure in the right engine. Twenty injuries were reported, but everyone survived. So, no, air travel isn’t 100% safe from danger. But it’s awfully close. We could review the usual list of all the ways you were more likely to die in 2016 than in a commercial airplane accident, but quite frankly, it would include practically everything else. Well, okay… perhaps you’re less likely to die in a freak cannonball mishap while attending a circus performance than in an airline crash, but the data on those incidents is thin, so it might be close to even odds. Despite these rosy statistics, it’s estimated that 20 million people suffer from a fear of flying, and when you’re halfway across the Atlantic Ocean gripping your armrests as your seat bounces and shakes from heavy turbulence, it’s easy to forget the numbers. But a fear of flying can be overcome, so if you’re not a fan of getting on an airplane, don’t lose faith. Just try to remember that you’re traveling on the safest form of transportation on the planet. Again.